The Plumas County Sheriff’s Office is seeking the public’s help in locating a suspect. Just before 4 p.m. on Monday, Feb. 11, dispatch received a report of a male subject (John Butcher) stabbing a male adult in the eye with a knife on Willow Way in Chester. After stabbing the victim, Butcher left the scene on foot. The California Highway Patrol, Chester Fire and the Plumas County Sheriff’s Office responded. The victim was transported to Seneca Hospital. During the investigation it was determined Butcher committed the following crimes: assault with a deadly weapon, child endangerment and burglary. Law enforcement members searched for Butcher in the Chester area, but were unable to locate him. Butcher was described as wearing a black jacket, black jeans and boots. He is 6’2” and weighs approximately 195 pounds with brown hair and blue eyes. 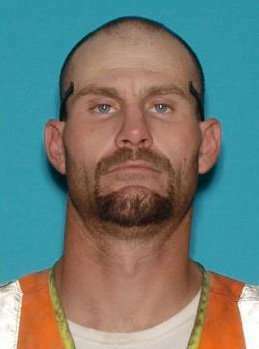 The Plumas County Sheriff’s Office is requesting anyone with information of Butcher’s whereabouts to call (530) 283-6300.